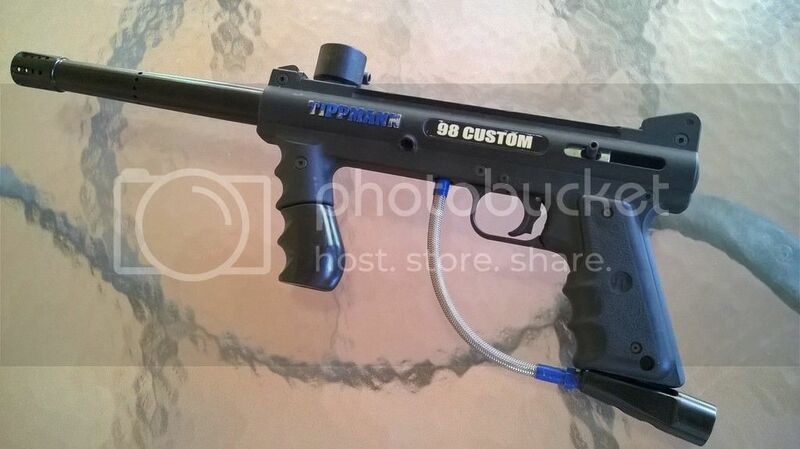 Paintball gun with 2 bottles lg one is full and box of paintballs. Works. You can try before you buy. 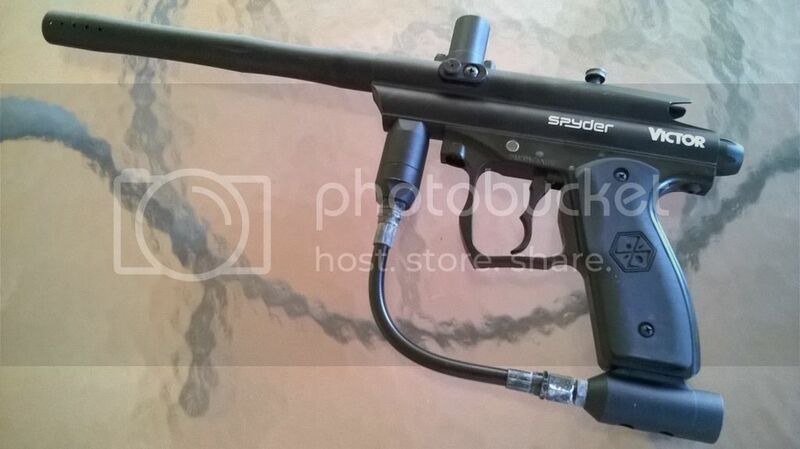 New paint ball gun, shot one time and that was the day I got it. Comes with a pistol, quick reloader, and two tanks that are still good and can be used.